A recent YouTube video from Missy Whidden inspired me to use the Basic Grey- Saturday Morning die cut pack. There are a lot of random die cuts and I just knew I wouldn’t have a use for them. So just as Missy did, I laid all of those pieces onto a sheet of white cardstock and then covered them with white gesso. I then added mixed media using the packaging technique with a couple Shimmerz Paints products (Lemon Drop Dazzlers & Magenta Paint) & a green gelato from my stash. Once the mixed media work was dry I cut the cardstock using The Zig-Zagged Cut File from The Cut Shoppe to create the chevron pieces. I then adhered those chevrons onto a new clean piece of CTMH White Daisy Cardstock. I trimmed off ¼” from the top and side of the white cardstock and adhered it to a pink pattern paper from Basic Grey. I added stitching through each of the chevrons & along the edge of the white cardstock. I then moved on to my photo cluster. 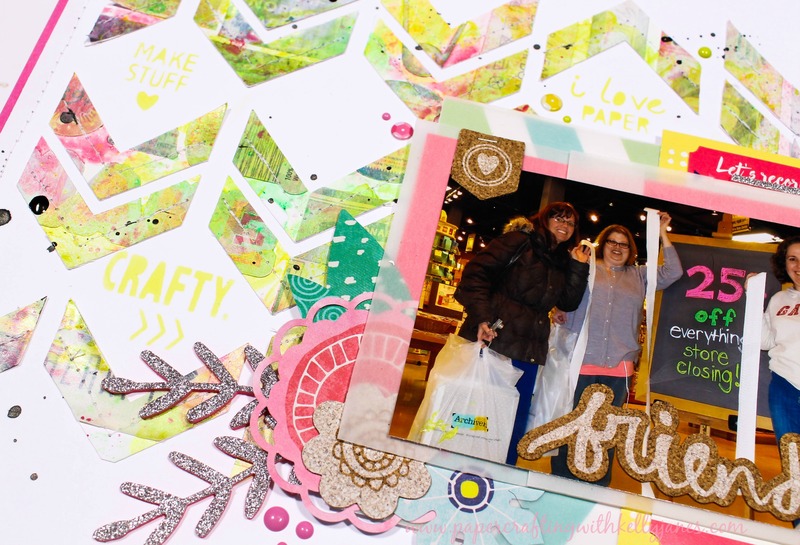 Using multiple Project Life cards from Hip Kit Club along with a couple layers of vellum. The embellishments include flowers & enamel dots from Basic Grey, and silver foam stickers & puffy sequin stickers from Pink Fresh Studio. The cork pieces all come from Basic Grey. I also added in an Amy Tangerine Sticker from her Better Together Collection. Actually all of the embellishments for this layout were included in previous Hip Kits. I wanted to add a little something to the blank spaces in between the chevrons so I cut a few images from The Pretty Paper Please Cut File that I had previously purchased from The Cut Shoppe. I then used them as a stencil to sponge on Sunkiss Yellow Ink from CTMH. 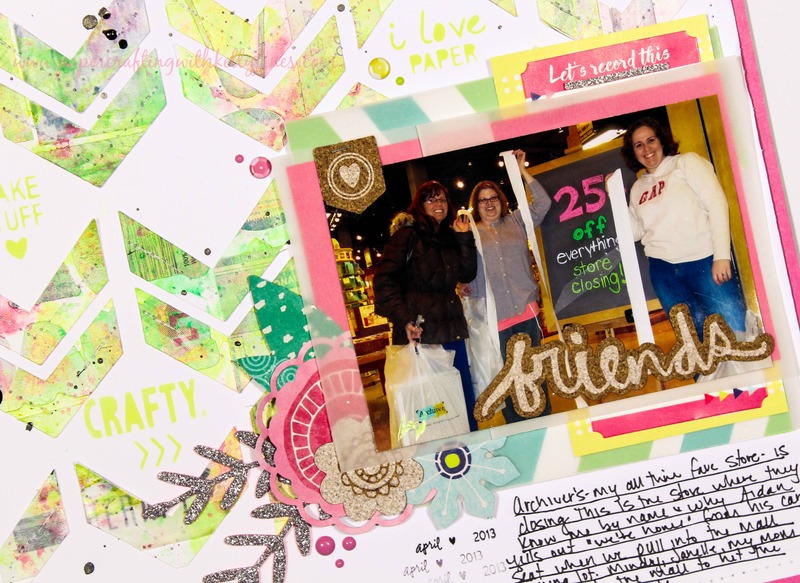 I added my journaling, date stamp, and splatters from Black Color Shine. 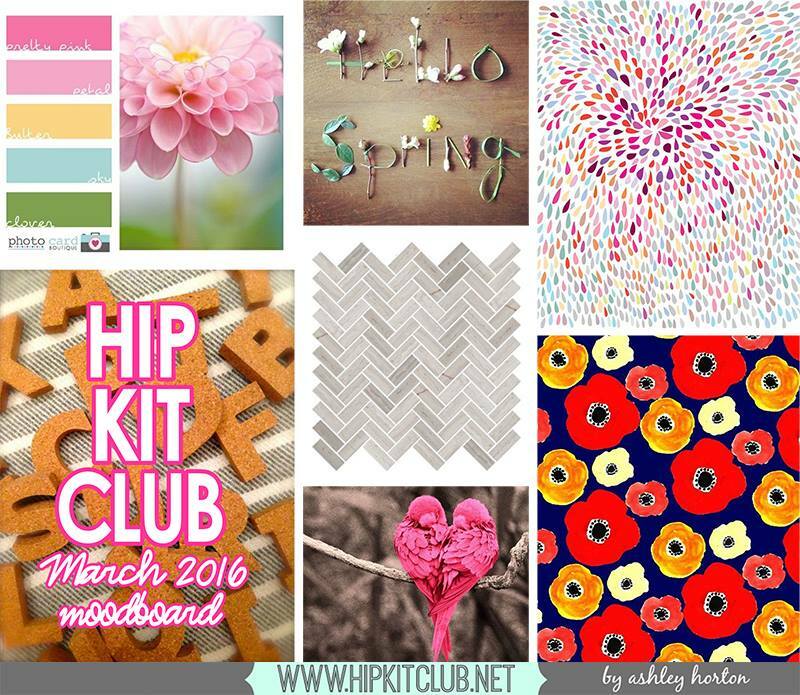 My layout was inspired by the Hip Kit Club April Mood Board. 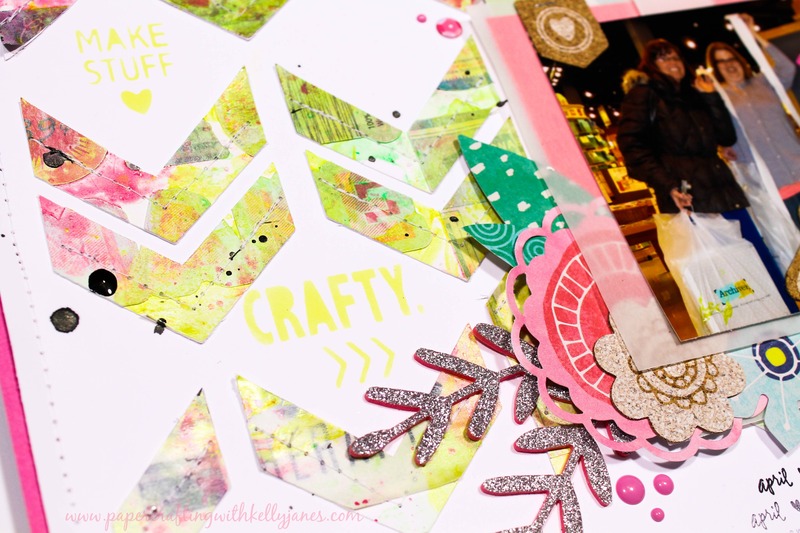 I loved the colors, the florals, the cork, and the chevrons so I incorporated them all onto this layout! 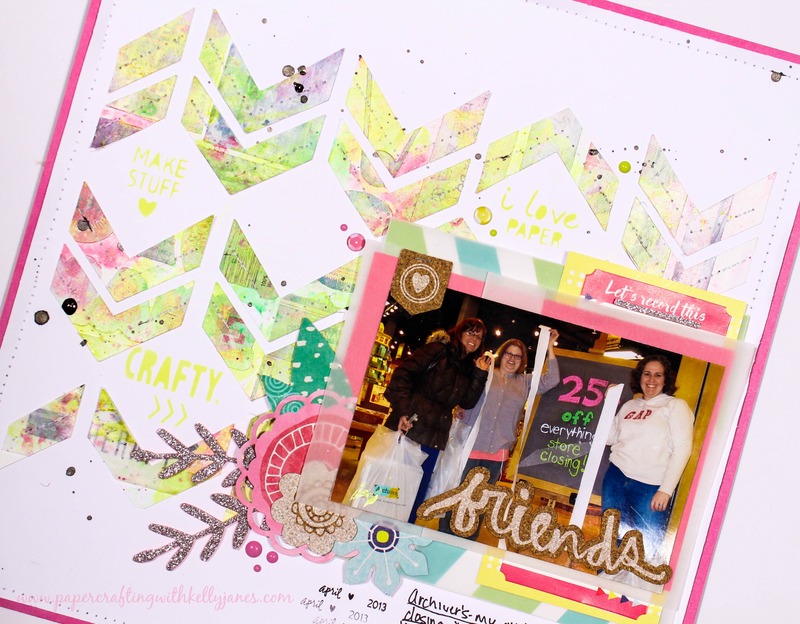 I’m also linking this layout to The Cut Shoppe ‘Cut It Out’ April Challenge.